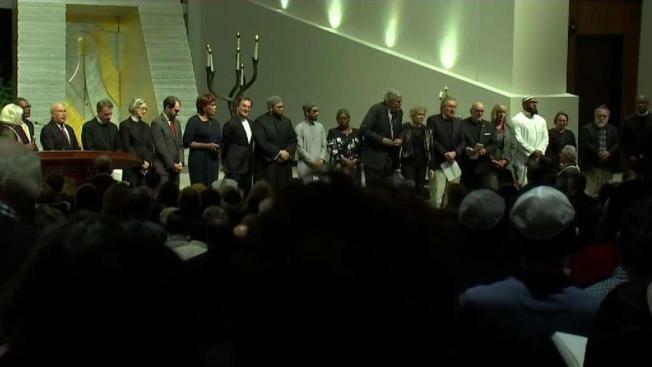 Leaders from across Massachusetts, as well as some 1,000 attendees, are at Temple Israel in Boston's Longwood neighborhood for an interfaith service on Friday night. Elected officials were among those who spoke Friday night. "As we gather as neighbors and family, Pittsburgh holds its last funeral," Sen. Ed Markey said. Gov. Charlie Baker also spoke. Organizers say the point of Friday night's event is to show that this community will not be deterred. "There is work to do, and we stand with you, always," he said. Leaders from across the religious community joined hands. "I felt they were speaking to all of us, that we're feeling really badly," Katherine Kirshner, one of the more than 1,000 attendees, said. "This has given me a sense of hope." Saad Munir was also moved to attend. "This is a first time at this temple. What happened last week was absolutely egregious," he said. "[The] service was phenomenal." It's been a week of mourning and shock since 11 people were killed and four were injured inside of a Pittsburgh synagogue. 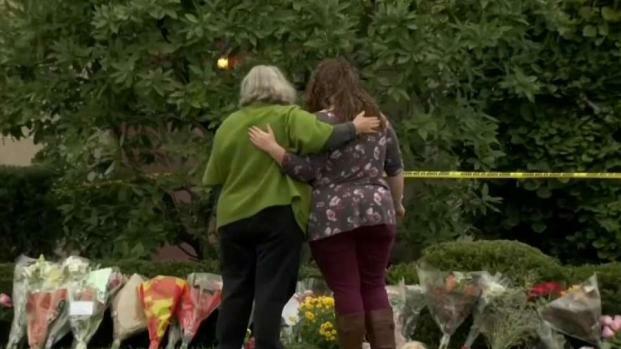 For Temple Israel Rabbi Elaine Zecher, who is from Pittsburgh, the shooting hit close to home. "We want to think of our places of worship, our sanctuaries, to be actual sanctuaries, and be that oasis for us. And for someone to barge in, someone who is filled with such hate, to wreak such havoc... All the people there all just wanted to be able to celebrate Shabbat, and that is what breaks our heart," she said. She had the idea of hosting a community service to allow people to heal together. "I think everyone feels their hearts are heavy," she said. "To be able to be together, with one another, makes a big difference."